In this age of Medical tyranny, systemic, blatant disregard for nature’s laws has purposefully turned the human body into a battlefield, opening the floodgates to outside forces, enabling novel microorganisms to flourish, thereby unleashing a new breed of toxic agents into the environment. Natural immunity is threatened more today than ever before in history. The signature of any modern disease, disorder or syndrome impacting human health, is determined by the extent of its virulence and survivability. Mycoplasma fits this criteria definition, having permanently altered the course of evolution; ultimately the future of the entire human race. 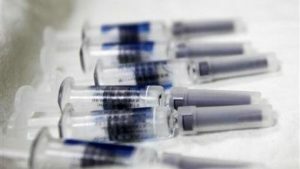 – a rigorous approach, deconstructing and cross-referencing every component involved in the vaccine manufacturing process; including a case-by-case analysis of mitigating co-factors affiliated with vaccine trauma, hastened or triggered by the shot (pre-existing medical conditions, compromised immunity from birth, exposure to environmental toxins). To understand exactly what we are dealing with, it is necessary to return to the source of the problem. The whole basis for vaccinations is counter-physiological. The vast majority of infections enter the body through the nasal passages (mucous membrane) & the gastro-intestinal tract or the guts (gut flora). Accordingly 80% of the body’s immune system is situated at these junctures; the natural first line of defence. Vaccines are injected into deep muscle tissue or subcutaneously, either route which literally bypasses one’s natural barriers altogether. Thus the body is left vulnerable to live viruses & heavy metals, increasing, exponentially, the risk of prolonged neurological and neuro-developmental difficulties; which would otherwise be avoided. 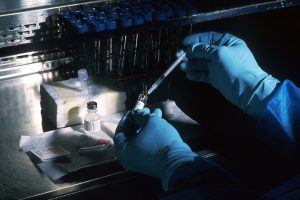 In practical terms, a synergy factor inevitably occurs when multiple ingredients such as heavy metals, live viruses/or strands of DNA-RNA “heat treated virus”, antibiotics, formaldehyde, detergent, diploid cells (aborted fetal tissue), phenol dye and other excipient buffers are combined in a vaccine. For example, Aluminum binds to Thimerosal mercury, forming an amalgam. 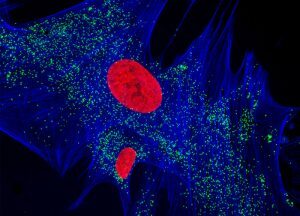 The addition of Neomycin (antibiotic) will trigger more rapid, profound cell toxicity. resulting in a 75% acceleration in cell deaths occurring in the body. A newborn lacks sufficient protection to guard against premature damage to the blood-brain barrier. which takes no less than 7 months in utero (latter stages of third trimester) to establish its primary protective shielding, so that vital, unfinished area is still completely raw. The Myelin Sheath is also significantly under-developed at birth. In fact, a baby undergoes continuous Myelin formation well after birth. Similarly, the Meninges layering is designed to insulate the brain & spinal cord from injury – notwithstanding the accumulative barrage of synergistic toxicity associated with early childhood vaccines. Our current generation have become unwitting hosts to a form of viral, bacterial & fungal roulette, an ideal breeding ground for the proliferation of lifelong (inter-generational) viral, bacterial & fungal (gut related) infections. The overwhelming body of scientific evidence points to one critical determining factor in the rise of mutagenic (hybrid or chimeric) viruses & systemic erosion of natural immunity: multi-generational community-wide exposure to the Standard Immunization regime, in particular, those viral vaccines fixed on the schedule which combine live, attenuated viruses. However, there is, in fact, a fifth catalyst, aggressively spurring on disease in the human body, a rogue pathogen, which, until now, has consistently slipped under the radar. 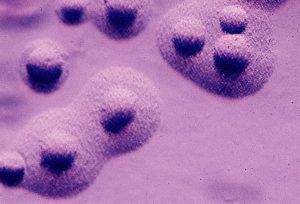 Mycoplasma is loosely identified as a form of extracellular and intracellular parasitic bacteria (resembling fried-egg or mulberry shaped colonies). 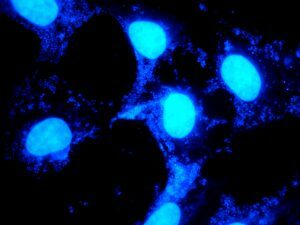 Under scrutiny, the primary evidence suggests otherwise; being structurally smaller than a virus, similarly dependent on the host for survival, comparable to covert bacterium, yet more complex as a pathogen, given its flexible plasma-like surface. ‘The name of mycoplasma was chosen because of its mycelated fungi-like structure with a flowering plasma-like structure. Mycoplasma is a kind of bacteria. 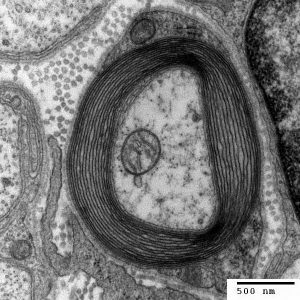 One of the differences between mycoplasma and the other bacteria is the absence of cell wall and their flexible membrane in mycoplasma which results in taking different shapes and consequently difficulties in identifying even under a high powered electron microscope. ‘The coccus (spherical shape) is the basic form of all mycoplasmas in culture. The diameter of the smallest coccus capable of reproduction is about 300 nm. 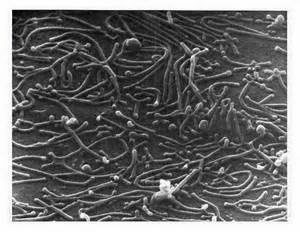 In most mycoplasma cultures, elongated or filamentous forms (up to 100 μm long and about 0.4 μm thick) also occur. ‘Bacterium is a complete form of life, fully functional and independent in a suitable environment. They have complete cellular structures…capable of surviving by consuming food around them. They can also die of starvation. Virus is a basic, complete and independent, form of life, has to have living cells as its home to consume food and multiply. The absence of these hosts, it can remain inactive for years. It is covered by proteins, as compared with plasma membranes in humans, and cell walls in bacteria. ‘Mycoplasmas can live intra and extracellular as saprophytes utilizing the fragments from dead or dying cells. Their double layer lipoprotein membrane controls the intracellular flow of nutrients and provides a highly unstable osmolar microbe difficult to isolate and visualize.‘ Harold W. Clark, Ph.D.
Mycoplasma has been identified as an undermining agent in cases of Autism, Chronic Fatigue Syndrome, Pneumonia , Pulmonary Fibrosis, Aids, Fibromyalgia, Arthritis, Macrophagic Myofasciitis, Epstein-Barr Virus, Bells Palsy, Lyme disease, Creutzfeldt-Jakob disease, Encephalomyelitis, Diabetes Type One, Huntington’s disease, Multiple Sclerosis, Parkinson’s disease, Gulf War Syndrome; including many rarified forms of cancer & lesser known debilitating neuro-degenerative conditions. 1. proliferate under extreme laboratory conditions, despite ongoing sterilization treatment – which actually increases their resistance to antibiotics. 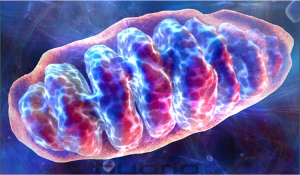 2. target any vulnerabilities present in the body (ranges of compromised immunity), by systematically digesting vital deposits of healthy (high-density lipoprotein type) cholesterol, the vast majority of which is found in the brain and myelin (protective casing around nerve cells). Sterol is clearly essential for our survival, any depletion of which, when exposed to Mycoplasma, jeopardizes the metabolism of the entire network of operations – circulatory, digestive, endocrine, immune, lymphatic, muscular, nervous, reproductive, respiratory, skeletal, and urinary functionality; eroding the under-developed core circuitry that houses a baby’s brain & central nervous system (Myelin Sheath), while wreaking havoc in the bloodstream. Lipid peroxidation is associated with cellular damage resulting from oxidative stress (or Ischemia), which inhibits the capacity of cellular antioxidants, vital to natural immunity, by the unleashing of free radicals. 4. “One of the contaminants that’s found quite often in vaccines is Mycoplasma…(which) stimulates the release of these Reactive Oxygen Species that damage the (Fluid mosaic) membrane…by oxidizing Lipids (ie.healthy cholesterol). This combative approach merely masks the underlying symptoms, driving the infection further into hiding within deep recesses of the body. The widespread overuse of antibiotics in vaccines has only strengthened the resistance of insidious pathogens such as mycoplasma, and rendered generations of vaccinated children highly susceptible to otherwise avoidable infections, diseases & disorders. The connection between experimentation with human embryo fibroblast cell lines in vaccine production and the exponential growth of Mycoplasma cannot be under-estimated. This component represents the crux of the entire problem. ‘Biological products such as oncolytic viruses, vaccines, gene therapy vectors, and recombinant proteins are at risk from the possibility of contamination by bacteria, fungi, mycoplasma, and viruses that must be eliminated from the final product…Cell lines used to produce the oncolytic viruses can potentially be contaminated with adventitious viral and mycoplasma contaminants. Strategically speaking, Mycoplasma is biologically designed to infiltrate the body’s natural defences, harnessing the very resources we depend on for survival; typically misdiagnosed or evading detection altogether for years (‘…may persist undetected in cell cultures for a long time without visibly affecting the culture. 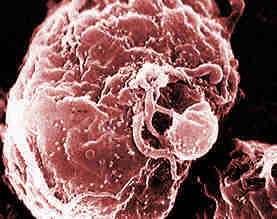 Nevertheless, mycoplasma can cause extensive alterations in the cell cultures.‘). Children coping with Autism already have a compromised immune system, made worse by the presence of Mycoplasma bacteria in the gut. The accumulation of “toxic” (low-density lipoprotein type) cholesterol throughout the gut presupposes, in fact, may be a trigger point, instigating, spurring on, ultimately PROLONGING Autism related neurological, physiological, immunological & behavioral manifestations. ‘Patients with neurodegenerative & behavioral disorders (ie. Autism Spectrum Disorder) often have systemic bacterial, viral and/or fungal infections that may play an important role in their pathogenesis…evidence for systemic intracellular bacterial and viral infections in a majority of patients. Pathogenic mechanisms by which Mycoplasma enters the human body include exposure to the respiratory, gastro-intestinal & genitourinary tract, through infected blood, contaminated laboratory equipment, products or personnel, and via vaccine transmission. The development and distribution of the original Small Pox Vaccine (circa 1800) established the ideal hot-house conditions for Mycoplasma cross-contamination to flourish, throughout the community. 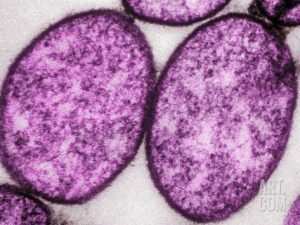 The unique epidemiology and increasing precision of Mycoplasma, impacting an array of human diseases, disorders & syndromes, has some prominent researchers in the Medical Field convinced of collusion at the highest levels of Government – by deliberately re-engineering its active components, to be distributed via mass vaccination programs, mainly Small Pox, Hepatitis B, MMR, DPT, IPV, for strictly nefarious reasons. ‘What you’re looking at with this upper respiratory infection (Mycoplasma pneumoniae) is that it is a multi-factorial illness. It’s associated with a variety of chemical and biological co-factors. 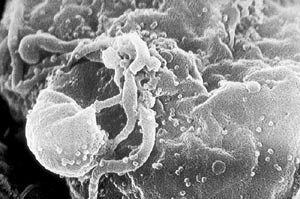 Just like with AIDS, it’s not the AIDS virus that ultimately kills, it’s co-factor microbes such as the Mycoplasma. ‘The United States began a significant effort to investigate “causes” of epidemic diseases. In 1887, the effort was enhanced with the mandate of the U.S. Laboratory of Hygiene. This lab was run by Dr. Joseph J. Kinyoun, a deep rooted-racist, who served the eugenics movement with dedication. Two years later, 1889, we were able to identify “mycoplasmas”, a transmissible agent, that is now found at the heart of human diseases, including (AIDS) HIV. Regardless of how or why it got here, we are all faced with daunting task of having to neutralize this imminent threat. Eradicating Mycoplasma from the body requires a determined effort, focus on revitalizing your overall holistic health (a balance of trace minerals & antioxidants), by eliminating bad (LDL) cholesterol from our diet (depriving the pathogen of its food-source), complete avoidance of the common routes of entry, and adherence to a steady regime of proven, natural, complimentary antibiotics (food-grade diatomaceous earth, sodium bicarbonate, apple cider vinegar, virgin coconut oil, oil of oregano, organic garlic, kale, cabbage, lemon). This process demands ongoing maintenance, self-monitoring of symptoms, varying of remedies, patiently calibrating each dosage, according to your own body’s specific set of needs. Results will always vary, depending on the degree of (predominantly vaccine-derived) neurotoxic damage incurred, viral, bacterial & fungal contamination which you are contending with. Stay the course! Mycoplasma is a hazard of the 20th & 21st Century. the dark underbelly of Western Medical Establishment dominance over natural life: altogether complicit in usurping the genuine science of the body with that of ill-conceived allopathic treatment, thus over-stepping the fundamental laws and principles of nature. Factor in decades of vaccine mass production, the use of toxic ingredients (adjuvants, antibiotics, preservatives, sterilants, diluents, stabilizers; compounded by irresponsible laboratory procedures), cross-species experimentation with a broad range of virulent “wild” viruses & bacterium, manipulated via chemical synthesis, reverse engineered, molecularly restructured, the weaponizing of the its primary active components, etc. Such systemic Medical Industry neglect, demonstrating callous disregard for the properties of natural immunity, and a flagrant misuse of science. has enabled this super-pathogen to taken root in the human body. Ask yourself, where has our systemic, blind faith in outside forces gotten us thus far? The essential question is, what are you prepared to do about it? Fortunately, knowledge is much stronger than tyranny. And in the end, the truth is stronger than lies. Our children deserve the right to a brighter future, and we must, accordingly, lead by example. As always, the solution rests with you. God bless you for everything you’re doing. Please know, I would never try to diminish the damage done by vaccines to children who are now autistic, but wanted to bring up something that has touched my family and the number of families now being touched by the epidemic of Crohn’s Disease and IBD in our children. So much of (anti)vaccine research (which we know is not anti at all) focuses on Autism.. but, there IS, MUST BE a connection w/Autism and Crohn’s .. but Crohn’s is always something that is mentioned as an aside rather than a focus of the damage done. There is a theory that MAP is the cause of Crohn’s, so i found this research article of particular interest. Please, please, include Crohn’s/IBD in more of your research results. I plan on being one of the first persons to order your book when complete. ‘Mere fragments of mycoplasma can provoke an antigenic (allergic) reaction producing antibodies. The body learns to react to mycoplasmas, similar to poison ivy reaction, which explains why vaccines have not been successful. Mycoplasma grows best when the thyroid is minimally active (in “hypo” state). Food allergies, Candida intensify RA (Rheumatoid Arthritis) symptoms. Patients with other diagnoses having RA symptoms test positive for mycoplasma, other bacteria, and often viruses, fungal infections. Live vaccines can be contaminated with mycoplasma. 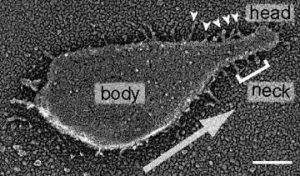 Cloaking behavior can fool the immune system using cell shape modification, which can infiltrate T-cells (immune cell precursors that later form mature cells with specialty functions). They mimic behavior of normal cells, hide in biofilm colonies.